Skylar Grey could be a successful pop artist if she wanted to be one: She has the voice and the passion, not to mention the track record as a talented pop songwriter and featured vocalist. But the mastermind behind “Love the Way You Lie,” “Coming Home,” “Clarity,” “Where’d You Go” and more isn’t trying to be the next pop sensation – not, that is, if it means compromising her integrity or authenticity. 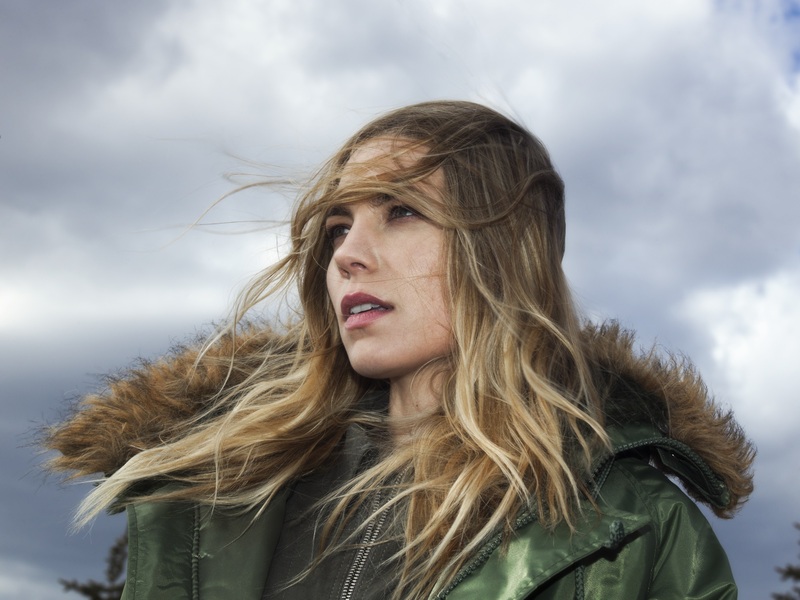 If Skylar Grey is going to grab your attention, she’s going to be doing it her way. Pursuing authentic and honest music is a dream to which many recording artists aspire, but few realistically attain. The pressures to conform to the masses, appeal to a fan-base, or do what is generally expected of you are strongly ingrained in the music business, but precedent shows that taking the path less traveled – that striking out to see through an artistic vision – can be unimaginably rewarding. Sgt. 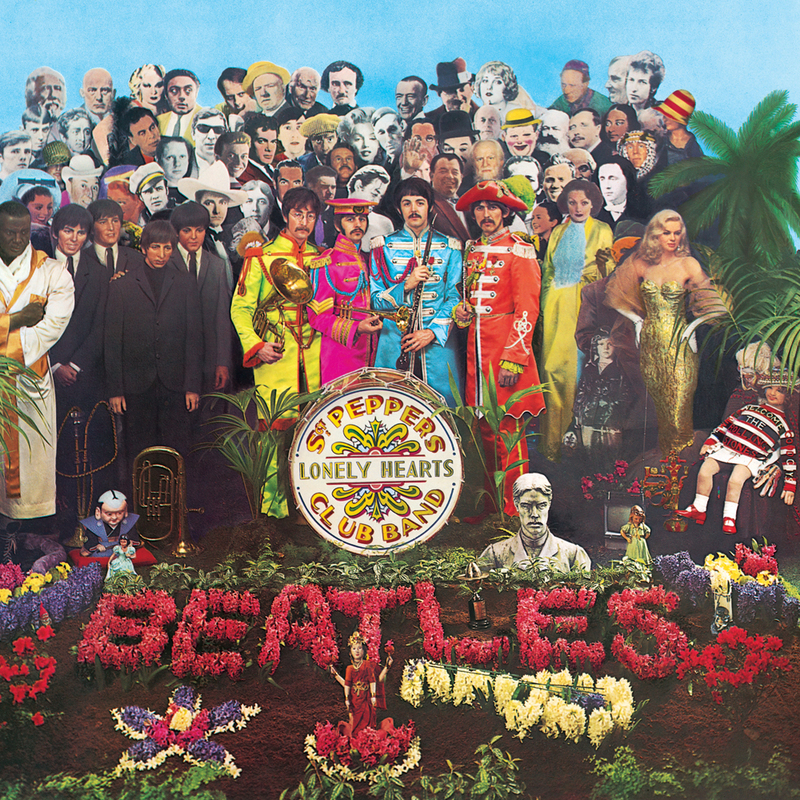 Pepper’s Lonely Hearts Club Band was a complete identity shift for The Beatles, and it was met immediately with critical success despite doubts and concern about the band’s future prior to the album’s release. Granted, Skylar Grey has neither the popularity, nor the cultural relevance of The Beatles – no one, not even Taylor Swift, Justin Bieber or Drake has that – but she does share their boldness: That daring to be different. After writing hits for artists in the pop and hip-hop worlds for years, Grey has finally reached the point where she feels comfortable, confident and ready to be her most honest self on record. The result will be the Wisconsin native’s sophomore album on a major label, due out in early 2016. Citing influence in the likes of Radiohead and Bon Iver – perhaps not in style, but certainly in ‘vibe’ – while describing her new music as experimental and avant-garde, Skylar Grey appears to be pushing herself well beyond her boundaries into uncharted, but not unwelcome territory. 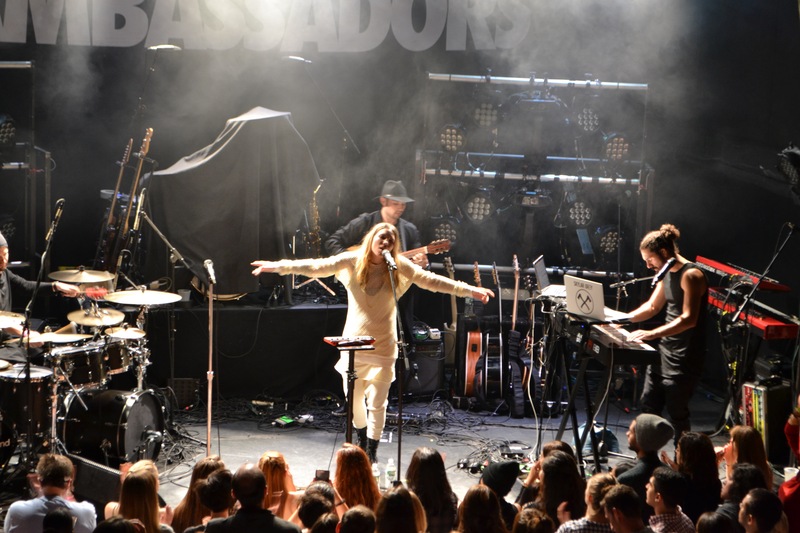 Performing live at The Bowery Ballroom last week, Grey, dressed all in white like an artist at an exhibition, introduced a captivated New York audience to the essence of her new material. Electronic, hip-hop and rock music swirled together in dark and light patterns, held together by Grey’s evocative, wide-ranging voice. 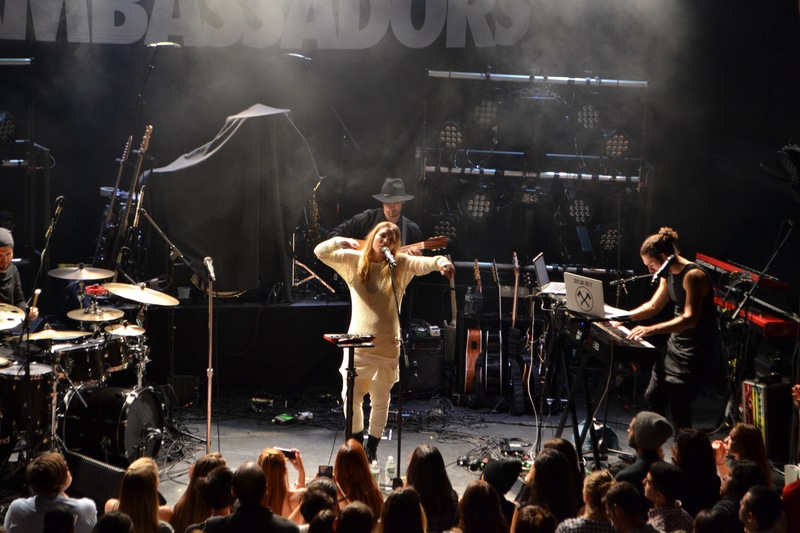 You can find catchy licks and head-turning chord progressions in almost every performance at The Bowery Ballroom, but you won’t find another Skylar Grey. Her new material breaks whatever barrier is left between musical genres as she embraces beauty and meaning over glitter and flash. 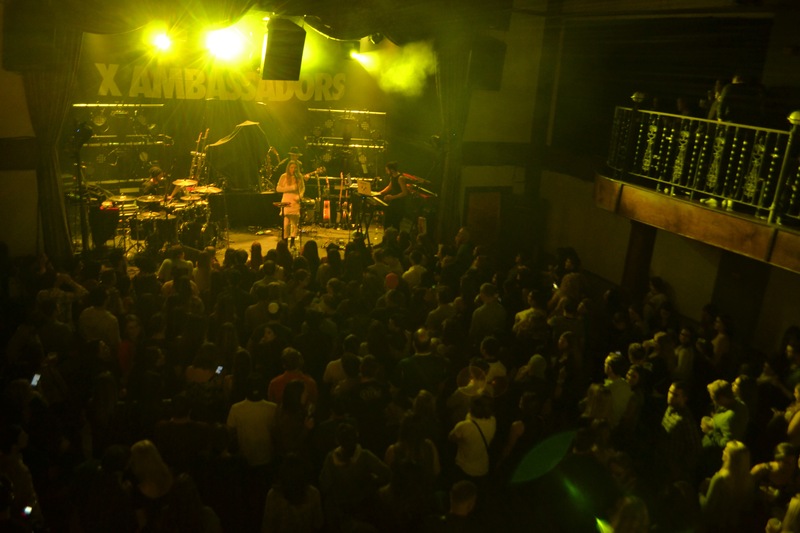 Of particular note is Skylar Grey’s newest single, the forward-driving “Cannonball” featuring KIDinaKORNER labelmates (and current tour mates) X Ambassadors. The first glimpse we have into Grey’s forthcoming release is an electric foot-stomper with a subdued, but subtle sense of urgency. Hand claps, a thumping bass drum and a whistled theme provide the backbone for a song about the triumph of the underdog. How does an artist ignore the pop world around her? By focusing on her instincts and making what feels right. Skylar Grey is an authentic music artist settling into her own groove with a dark charm and an inviting charisma. She’s ready to show the world her bare bones, and we’re ready to accept them. 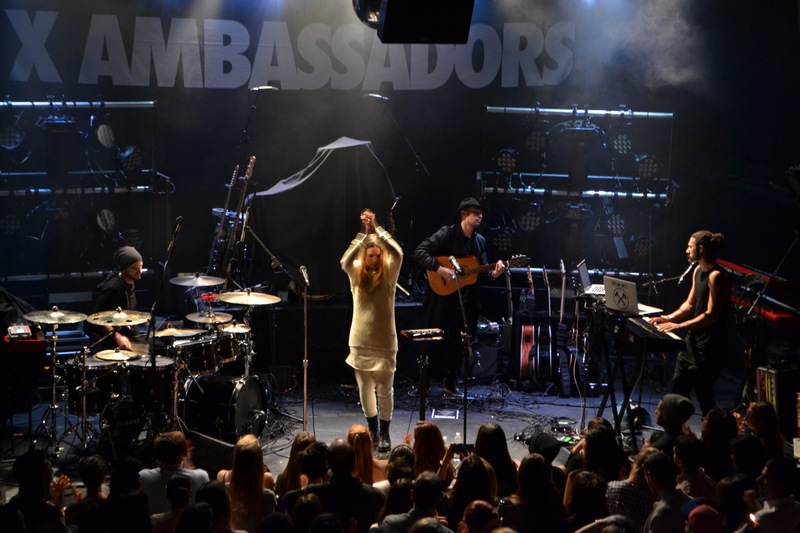 Read our full interview with Skylar below, and catch her on tour with X Ambassadors this fall and winter! Atwood Magazine: Hey Skylar, it's great to meet you! Skylar: Thanks Mitch, good to meet you too! I must admit, as a songwriter myself I’m pretty intimidated by you and all that you have accomplished! Skylar: Oh wow, thanks! Don’t be intimidated. I’m pretty much a regular person – well, I don’t know if I’m regular, but I’m not anything special. You’ve been a mastermind behind several great songs – so why do I feel like this time around, things are different for you? Skylar: I don’t know, I just do what I do. I’m writing music that I love right now… Music that I have been wanting to make for a long time, and until now I haven’t really felt free to create the way I want to. That’s why I’m excited to write this album – it’s stuff that I really love. How does Don't Look Down compare to the music you're working on now? Skylar: I think Don’t Look Down was kind of like an attempt to make two different worlds come together. I come from a very eclectic music background, but I fall into this world of making pop hits for people, so it’s a weird combination. But with this album, I’m taking it back to my roots and making music that eats me at my core. That, to me, doesn’t mean I’m chasing any kind of commercial dream – my dream right now is to make an album that I would buy. My dream right now is to make an album that I would buy. So with the new music, we're getting to see the real you. Skylar: Yeah, I would definitely say that. Skylar: I hear that a lot; I don’t really know – like, I don’t measure success by the same thing as a lot of people do, so… To me, it’s all about making music that you love and hoping for the best. I think that it’s also not just how much recognition you get, but the kind of recognition you get that matters. I would rather have quality fans over quantity – people that really appreciate what you do. Skylar: Right after I put out Don’t Look Down, I was so done with that album – I had spent such a long time working on the music, but I had already moved on from it. I really started making music for this album right away – right after that one came out. With this album, I’m… making music that eats me at my core. What inspired your new music? Skylar: When I think of my favorite albums, they’re albums I would put on by myself while driving through the Redwoods in California. I have the Radiohead albums that I love, and Bon Iver… It’s kind of mellow and sad, and really introspective and a little bit ambiguous. It’s those kind of writers that I listen to, so I wanted to write an album that fit in that category. I was so excited to get back to the drawing board and make an album that I could put into that category with albums I loved so much. Technically speaking, it’s not a concept record, but it kind of is; I wanted it to be an album I could pop in while driving through the Redwoods in California and have a meltdown – the kind of thing I could listen to and really think about my life. What was the first song you wrote that you fell in love with? Skylar: Man, there are so many good ones on there… I don’t remember the first one! Let me put it another way: What is one song that really moves you and hold special significance? It’s about slowing down and taking notice. For my whole life, I was so focused on my career – I thought it was the only thing in the world. Then I moved to Utah, and it taught me how much there was to love in the moment – to look out my window and see a mountain, and to appreciate the beauty of that instant. That song is really powerful for me – it’s about life, basically. I wanted (to write) an album I could pop in while driving through the Redwoods in California and have a meltdown – the kind of thing I could listen to and really think about my life. How often do you write songs? Does it come sporadically or is it a conscious process? Skylar: It’s sporadic – like, I don’t even have time to write right now because I’m traveling and preparing all these shows and stuff, but when I’m at home I write a lot. It kind of depends on what else is going on, but again I’m a quality over quantity person. Have you ever written songs that were too hard or too personal for you to give away? Skylar: The songs I like to keep for myself usually nobody would want anyways… They are pretty left of center, but right where my heart is. The songs I give to other people tend to be more commercial. What are you doing these days to challenge yourself? Skylar: I think my biggest challenge recently has been focusing on my own personal goals with the music, versus allowing myself to be pushed in different directions based on what other people are telling me. When I run it by too many people, I start getting confused about what I want to do – I’m very open to suggestions, and can be easily persuaded – so this time around, I’m really focusing on the music that I want to make and trying to tune out outside opinions. Is there a specific person you always go to after writing a new song? Skylar: Well I have to run everything through Alex da Kid – he’s the one who signed me, after all – and fortunately he’s been really good: In the beginning I would have expected him to push me in a more pop direction, but he’s been really supportive of my new vision, getting out there with me into the avant-garde. He’s pretty much the only person that I talk with; it’s like me and him deciding everything. Tell me about the KIDinaKORNER ethos – does it truly have the family-oriented vibe it seems to give off? I always see cross-collaborations coming out of there, and 'Cannonball' is no exception. Skylar: Yes. Alex runs a unique label in that it doesn’t feel at all corporate or disconnected. And just like any family, there are moments of great fun and moments of dysfunction, but it’s all with love and passion. How did the imagery for 'Cannonball' come about? Skylar: The video was a very collaborative effort between director Daniel Carberry and me. I had seen his reel and loved how artful his work was, so I wanted to utilize his skills and do something epic and beautiful. The concept was just to symbolically portray the meaning of the song, which is basically where there’s a will there’s a way. So we thought of a bunch of different surreal battles in which to feature an underdog, such as a dance battle between a Native American and a breakdancer, and a knight fighting a cop. Do you have any specific favorite kinds of imagery? Skylar: In general I have a soft spot for macabre art, and nature-based themes. Hence the wolf and the blood in my video. I just like to be reminded that death is a beautiful, mysterious part of life, and no matter how powerful humans may feel, mother nature always wins. Do you consider yourself a songwriter primarily, or an artist? Was that ever different? Skylar: I think I’m probably better at just being a songwriter in a weird way, but I like the whole process of being an artist too because you get to be involved creatively in more areas than one from beginning to end. It’s not just songwriting, but everything involved: Artwork, shows, marketing; it’s the whole process, which I find fun! Is anything about it not fun for you? Skylar: Yeah, I mean no matter what industry you’re in, I think there’s always moments that are not fun, but overall it’s worth it. On this tour, a lot has fallen on my shoulders to make this happen. I don’t have an MD – someone directing the show – so there’s a lot of pressure to get everyone playing the parts, and arranging music for the live show. I like doing that because I’m really picky, but at the same time I don’t really trust that many people to do it right, so… I don’t know. There are definitely stressful moments – not that it’s not fun, but it gets to be too much sometimes, and it’s stressful. What are you excited for most about this tour? Skylar: I’m most excited for people to hear the new music and start opening their minds to what I’m doing now, because it is very different from what I’ve been doing in the past! Skylar: I am most looking forward to finishing the album and going on this journey, and hearing what people think of the music as we play it live. That’s really all I’m focused on right now! Atwood Magazine wishes Skylar Grey the best for this tour and her new record!